Two new studies in Science demonstrate potentially groundbreaking applications for carbon nanotubes: filtering water even better than nature itself, and harnessing energy from ocean waves. Why it matters: Until now, efforts to capture energy from things that are constantly moving in nature (e.g. waves or the human body) and convert it into electricity has been limited to tiny circuits with small currents of electricity. Carbon nanotubes could allow natural sources of energy to be efficiently tapped because their atomic bonds are so strong and can be stretched and twisted into bigger structures. What they're made of: carbon engineered at the nanoscale level. The nanotubes are 10,000 times finer than a human hair. The bonding between the carbon atoms is also extraordinarily strong – which is why researchers have tested them for so many different applications. Scientists had high hopes, for instance, that carbon nanotubes could create an elevator to space, until studies in 2016 showed that such a massive structure would likely create too many critical weak points. 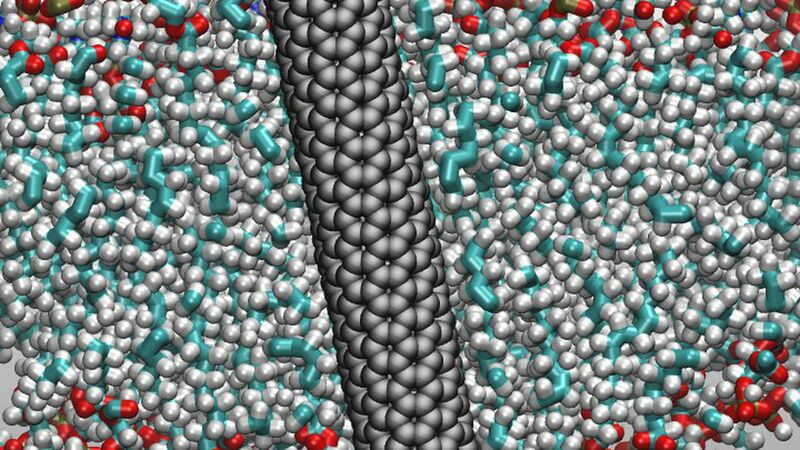 In one study, researchers compared the water-filtering potential of different sized carbon nanotubes against biological proteins — the carbon nanotubes effectively filtered water six times better than the proteins. "The results could pave the way to new water filtration systems, at a time when demands for fresh water pose a global threat to sustainable development," the researchers wrote. A second set of experiments has equally important implications for self-powered devices. Researchers twisted nanosheets of carbon so tightly they formed coils that, like a spring, were able to store and transfer energy. They found the twisted nanotubes' were able to harvest energy from ocean waves (a 10-cm-long device had an average output power of 1.79 mW). They also showed it could convert mechanical energy into electricity in self-powered devices (like a shirt that has carbon nanotubes sewn into it and uses the natural process of breathing to continuously convert mechanical energy into electricity).